The 12 x 8 Waltons Contemporary Summerhouse with Side Shed is one very smart looking summerhouse that has a very modern kind of style. 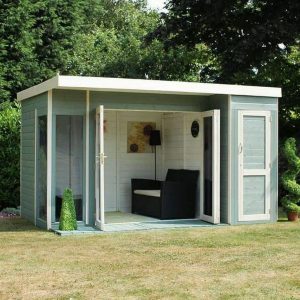 For those looking for a place to relax after a hard day, have some fun with friends or even to get some work done, his summerhouse would be ideal. It offers you a lot of room to make use of, and as an added bonus there is a storage shed attached to the side. The summerhouse has five large vertical windows, two of which are on the impressively large double doors. This is the kind of summerhouse that is great to look at and even better to spend time in. While this summerhouse is very easy on the eyes, it is also one of the most well made summerhouses that we have seen in quite some time. The structure is very strong thanks to the 12 mm thick tongue and groove cladding and the robust frame attached to it. The roof and floor are both made with tongue and groove boarding so they not only fit in with the style of the summerhouse, but they are also very strong and able to handle a lot of weight. From the bottom all the way to the pent roof, this summerhouse is made to the highest quality and it will last you many, many years. Today we are reviewing a very cool looking summerhouse. Now to be honest with you, we first saw this summerhouse on the Ana Mum Diary blog where Amanda Cottingham was sharing her desire to have a fun, practical and affordable place to work. 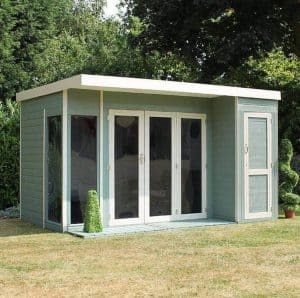 Not only are we going to do our own review on this summerhouse, we are also looking at the finished product on Amanda’s blog so we can get a better idea of what this summerhouse is like. First of all, this is a large summerhouse. It takes up 11 feet 11 inches in width and 7 feet 11 inches in its depth. Amanda said that “I worried it wouldn’t fit” and from the pictures before the summerhouse was installed, you can see just how much wood there is to this summerhouse. 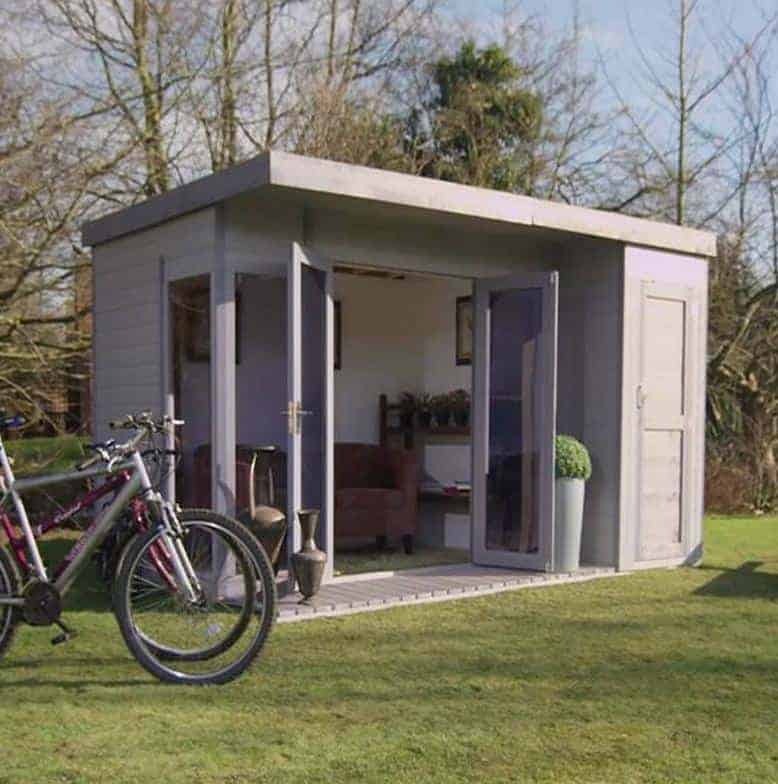 One of the main selling points of this summerhouse, as well as its design, is the fact it comes with a separate storage shed. On the blog it is mentioned that this will be used for storing things like a mower and chairs for outside and we think this is a great idea. As you can see from the pictures on Amanda’s blog, there is plenty of headroom in this summerhouse and that is something we really like to see as it makes spending time in the summerhouse so much more comfortable. Waltons have gone for a pent roof for this summerhouse and we think that it looks fantastic. It really does give the summerhouse a more modern look than a apex roof would and it also helps in not making it look like a shed. The roof is made with 12 mm thick tongue and groove boarding. This looks incredible and goes very well with the rest of the summerhouse. On the very top of the roof is some roofing felt, but to be honest with you, the roof is finished off with this nice thick end piece so you really cannot see the felt all that much. This is a design choice that, here at WhatShed, we really do like. The cladding used for the 12 x 8 Waltons Contemporary Summerhouse with Side Shed is 12 mm thick tongue and groove shiplap cladding and we think it looks great. The cladding is very well made, and tightly put together so it will not allow any rain to get inside whatsoever. The smooth and smart cladding is a major part of what gives this summerhouse such a modern look. The inside of the summerhouse is just as impressive. Right behind that cladding and ensuring this is one very strong summerhouse, is the frame. This is no normal, standard sized frame though. Waltons have used a 27 mm x 45 mm frame. This is thick and solid so the summerhouse is going to be very robust and last for many, many years. The flooring is made with that same 12 mm tongue and groove boarding, so inside the summerhouse you will have a very stylish look. The strength of this flooring is ideal as it means when you walk around you will feel like you are walking around on proper floor. Cheaper flooring tends to feel more bouncy, but that will not be an issue with this floor. As well as the flooring on the inside, there is this lovely little bit of decking that goes along the outside of the summerhouse. This is a very smart design and one we give Waltons a thumbs up for. 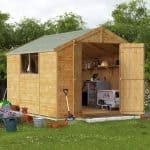 As you can see from The Ana Mum Diary Blog, when the summerhouse is delivered it only has a very basic form of treatment. 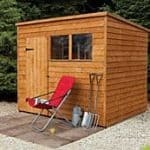 Treating the summerhouse is very easy and once you do it, you are making sure rot is not going to be an issue. You will have to give it an annual top up, though, to really make sure that wood stays looking smooth and smart. 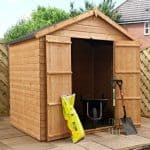 As is the case with other similar summerhouses, as long as you look after the 12 x 8 Waltons Contemporary Summerhouse with Side Shed properly by treating the wood, you will be covered by a 10 year anti rot guarantee. The large doors were one of the first things that caught our eye and on Amanda’s blog she does say that: “The bi-fold doors were one of the features I was most excited about, and I was really impressed with the fact there was catches and bolts making it secure” This was good to read as the fact the doors were supported with strong hinges was something that we really liked. Most of the doors are made up by the large windows, but the thick framing around them makes sure they are strong. With the doors, you have over 6 feet of width to get things in and out of the summerhouse, which is very impressive. The storage shed at the side of the summerhouse uses a single door and we feel that the design of this door compliments the rest of the summerhouse very well. Now, for the windows we want to send you back to Amanda’s Blog where you can see the large shatterproof styrene windows are protected by a plastic sheeting. First of all, this is great to see as this is not something that Waltons actually tell you they do. 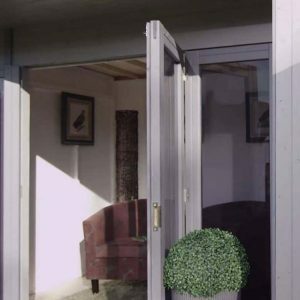 It ensures that the windows will stay scratch free when the summerhouse is in transit, and it will also make treating the summerhouse easier as it is less likely you will get wood treatment all over the windows. Including the doors, there are five large vertical windows on this summerhouse, so plenty of natural light will get inside. This is one very secure summerhouse and actually there is a proper lock on the summerhouse doors. So if you do have a TV, computer or something else expensive in there, then you can make sure they are securely locked away. As far as the storage shed goes, no information is actually given on if there is a lock here. We have used our eyes like a hawk and it does look like there is no lock on here, so you might want to think about adding a hasp and staple padlock. This not one of the more private summerhouse we have seen, but we are sure a set of blinds would look great on those windows. This is the kind of structure that just craves attention and is sure to catch many people’s eyes, so you better get used to people looking at it and complimenting you on what a fantastic looking summerhouse it is. They are not offering any customisation options with the 12 x 8 Waltons Contemporary Summerhouse with Side Shed. We do not mind this at all, as we really like the style of this summerhouse as it is. The wood treatment, though, is where you can have a little bit of fun as you can get all different colours of wood treatment. Here on Amanda’s blog she talks about the installation service that Waltons offer. She paid £379.99 to have the summerhouse professionally installed and she said: “We opted for Waltons home installation service, costing £379.99 for this size room. They completely built it all for us, taking all of the hassle out of it. It took two of the professional fitters around three hours to build.” This is something to think about if DIY is not really your thing. Also, three hours is a very good time to install something like this. As well as this, they also offer an upgrade to the roofing felt for a cost of £79.99. Some may think that a 10 is a little high, but honestly we couldn’t have scored this any lower. Waltons have really done an incredible job on this summerhouse. 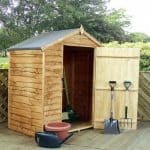 This will require you to treat the wood once a year, but as long as you do that and do not abuse the summerhouse, then there is no reason as to why you cannot get a lifetime of use out of this. Not only do you have the actual summerhouse, which is a very good size by the way, this also has that bonus storage shed on the side. As this is such a large summerhouse, it will take a while to install. With the help of another person you are looking at 8 or so hours. But you could always do what Amanda did and purchase the installation service if you are not that skilled at DIY or if you just do not want the hassle of installing it yourself. 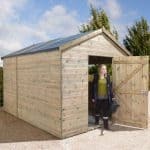 Yes, this does cost over a thousand pounds, but this is very high quality and when you also consider the size, and the storage shed, you realise that the asking price for this is actually very fair. 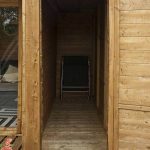 Final Thoughts: We love a good high end summerhouse and the 12 x 8 Waltons Contemporary Summerhouse with Side Shed is one of the best high end summerhouses we have seen in quite a while. Not only that, but the asking price is not bad at all when you look at what this is made of. Also, as you can see on the Ana Mum Diary, once it is all built and finished it really does look incredible. 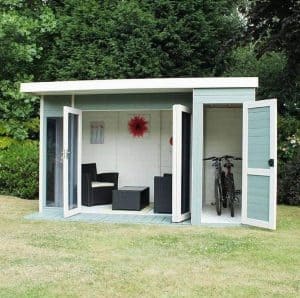 This is a summerhouse that manages to look very stylish and modern, but it is also very well made. 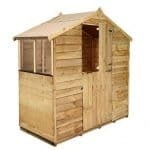 So well made that this will be the only summerhouse you ever need to buy.